Admiral Lord Nelson & his Navy - An extremely informative site covering everything that one may wish to know about the man, his troublesome times plus his navy. Also information about Nelson/Trafalgar Memorabilia and Bi-centenary events in 2005. H.M.S. Victory - An excellent site dedicated to the history of the ship plus the Nelson and his last battle. 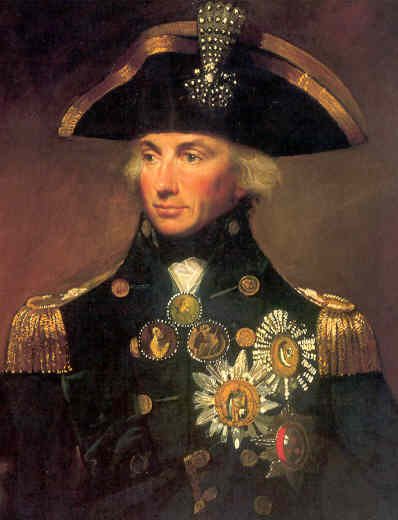 Vice Admiral Horatio Lord Nelson KB - A site dedicated to Nelson which is run by "The 1805 Club". Very informative on all aspects of Nelsons life. The site also introduces "The 1805 Club" and its aims. The Nelson Society - The web site of "The Nelson Society". In addition to introducing the general aims of this Society the site also contains a great deal of useful historical content regarding the man and his times. The site also offers an insight into the archaeological excavations held over recent years on Nelson Island of the coast of Egypt. The Topsail Group - This site is designed to help you to find out about Admiral Lord Nelson's life and times, life at sea in his era, the people he knew and little bit about HMS Victory. Although this site has been designed with the younger reader in mind there's something for everyone. Nelson: Dispatches & Letters - A web page containing copies of a variety of official despatches and letters relating to Nelson. The Napoleon Foundation - A brilliant site devoted to Nelson's greatest opponent containing many fascinating facts and pictures. The National Maritime Museum: Nelson & Napoleon - Information about the exhibition to the two great men, their lives and times being presented at the National Maritime Museum during 2005. 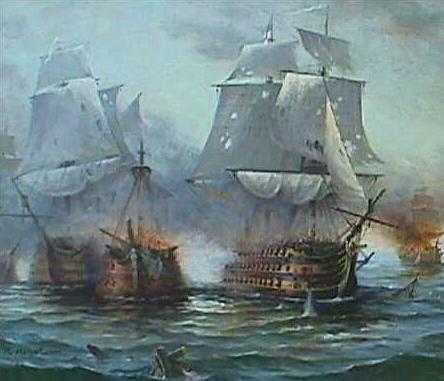 The Historical Maritime Society - The web site of the HMS (a group of Naval History re-enactors). In addition to introducing the Society and its aims this site also contains a lot of interesting information for the Nelson and Trafalgar enthusiast. The Nelson Museum, Monmouth - Horatio Nelson was born in Norfolk, died at sea, and is buried in St. Paul's Cathedral - yet Monmouth is home to a magnificent collection of Nelson material. Find out about the origins of the collection, and about the life, loves, death and commemoration of the famous admiral through displays of weapons, pictures, fine ceramics, silver and glass, ship models and letters. The Norfolk Nelson Museum, Great Yarmouth - Whilst there are a number of individually important and small Nelson displays widely dispersed in Nelson's home county of Norfolk, there has until recently been no single collection solely devoted to England's greatest naval hero. The Nelson Museum at Great Yarmouth has addresses this requirement displaying a fantastic and wide variety of Nelson artefacts and history.